Talk about nine lives. How many times has it been reported that Khamis Gaddafi has been killed? Two stories have him burned. The first time was at the beginning of the Revolution when a plane supposedly kamikazied into Bab Aziziyah and Khamis was taken to a burn hospital in TripoliÂ where he died. Then Khamis was burned in his car outside of Bani Walid near the end of the conflict. There were other stories of his death in between. Now today’s Tripoli Post has Khamis Gaddafi alive and captured by Zintan militia forces near the towns of Regdalin and Jamil close to the border with Tunisia. Reports also say he has an amputated leg. 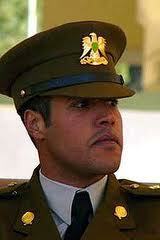 Khamis, one of Gaddafi’s sons, was head of the dreaded Mechanical 32nd Brigade responsible for Â brutal attacks on civilian populations during the Revolution. Can’t wait to see how this one turns out. DNA!!!!! Or live video will do. Also big day if truth to rumors that Abdullah Al-Sanussi was captured by Misrata brigade and on his way to Misrata. Abdullah Al-Sanussi, Gaddafi's right hand man, wanted by ICC for war crimes, was reported captured by Misrata Brigade today. 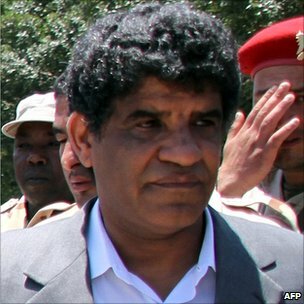 Al-Sanussi, Muammar Gaddafi’s brother-in-law and top henchman, is wanted by the ICC for war crimes.